This is one of those WOW I wish I thought of that kind of items! Once tied to the halter and adjusted it's a fast perfect fit anytime. 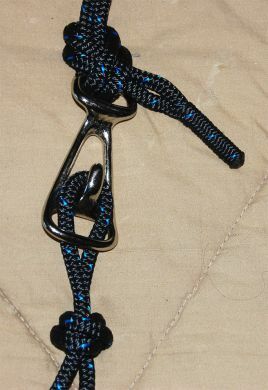 Add these to all of your halters and never tie a halter hitch again.